Page revised in May 2010. 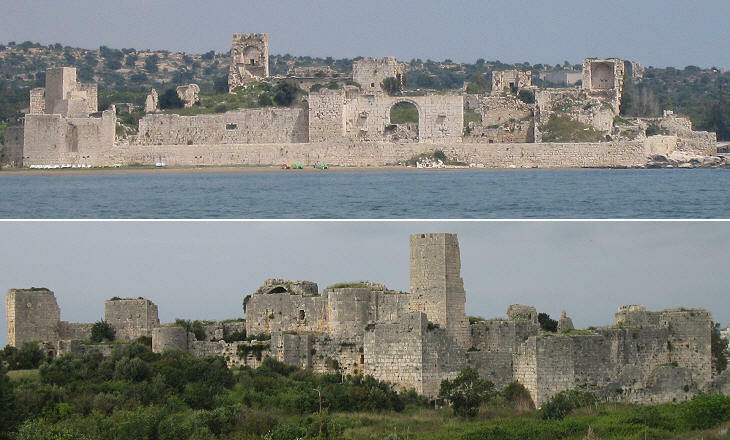 We next came to two decayed and uninhabited fortresses, called Korghos Kalaler (castles); the one standing on the main land, and connected with the ruins of an antient town; and the other, covering the whole of a small island close to the shore. 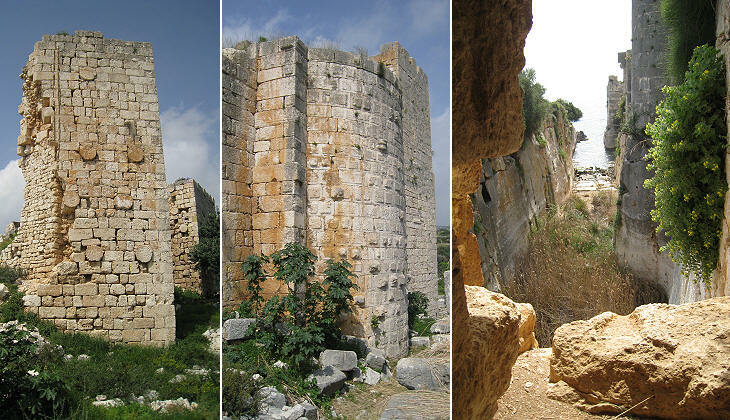 The fortress of Korykos was built on previous fortifications by the Kings of Lesser Armenia (Cilicia) in the XIIth century. 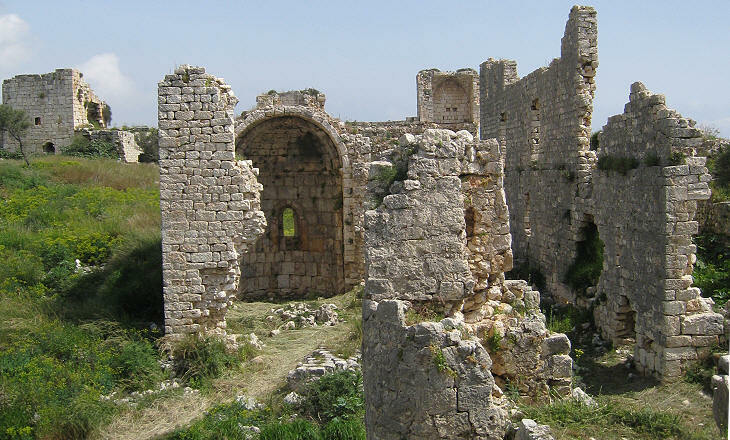 The area was highly populated in Roman time and there are many ancient buildings and tombs in the vicinity of the fortress. 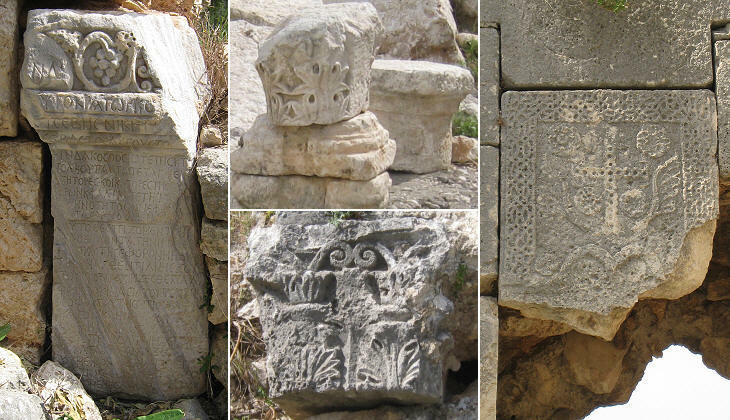 The Armenian barons of Korykos controlled most of the eastern coast of Cilicia and their possessions or those of minor feudal families who reported to them included Silifke and Cape Anamur. Several daughters of the barons of Korykos became Queens of Lesser Armenia; an Isabel married King Oshin I, an Alice married King Leo IV and a Maria married first King Constantine III and then King Constantine IV. 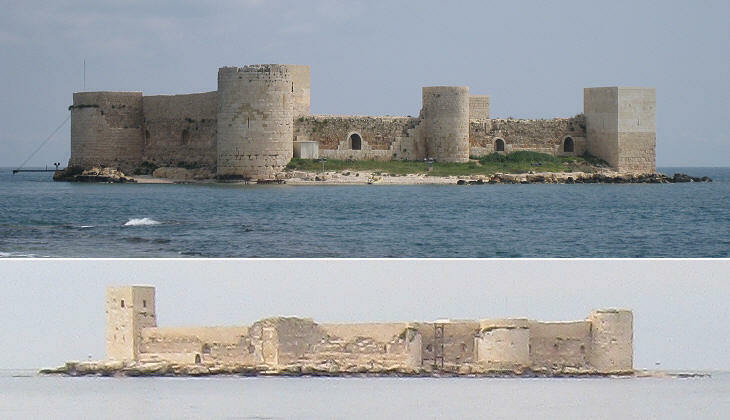 In addition to a large natural harbour, the fortress of Korykos housed a very small harbour cut into the rock; Korykos was a port of call for Genoese and Venetian merchants. 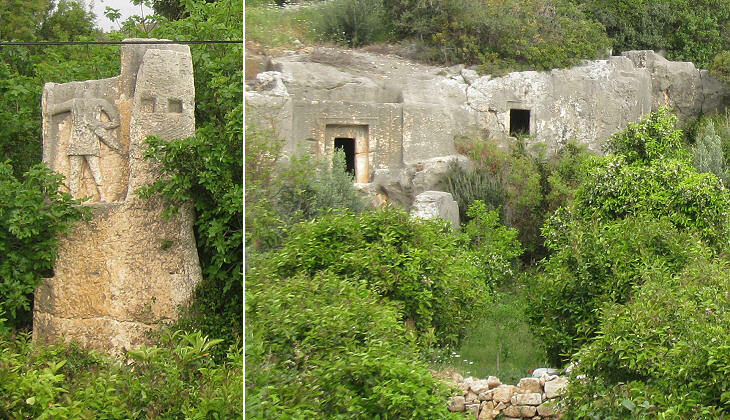 The fortress protected a small town with several buildings and three chapels which can still be identified because of their shape. 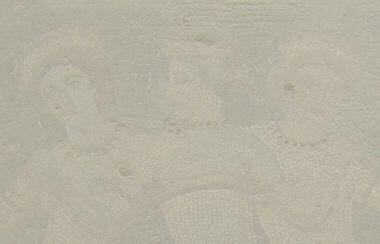 The barons of Korykos had contacts with noble families in southern Italy and France. Hethoum of Korykos spent several years in France advocating an alliance with the Mongols to free the Holy Land; he also wrote in French Histoire merveilleuse, plaisante et récréative du grand empereur de Tartarie, Grand-Khan, a historical and geographical account of western Asia. 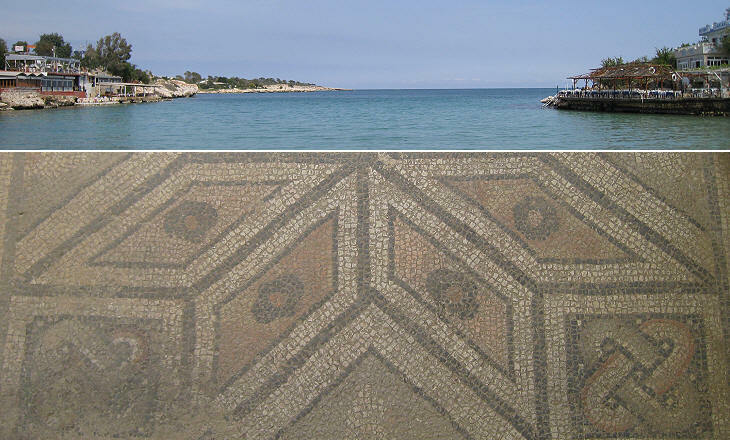 The fortress of Korykos was complemented by a small castle built on an islet at the centre of the bay. A dam linked Korykos to the islet. The dam did not survive for long and its existence was forgotten. A tale, clearly inspired by Cleopatra's death, explained in a new way the origin of the castle. A maid had been foretold death by a snakebite. Her father built the castle on the waves to protect her, but a snake hidden in a basket of figs sent by an admirer reached the castle and killed the maid. That's why the castle is called Kizkalesi (The maid's castle). A few miles to the west of Kizkalesi an underground stream of cold water empties into a small bay; a wealthy Roman chose this spot for building a villa with a bath on the edge the bay; the ancient Romans enjoyed taking baths at different temperatures and the underground stream cooled the water of the sea. 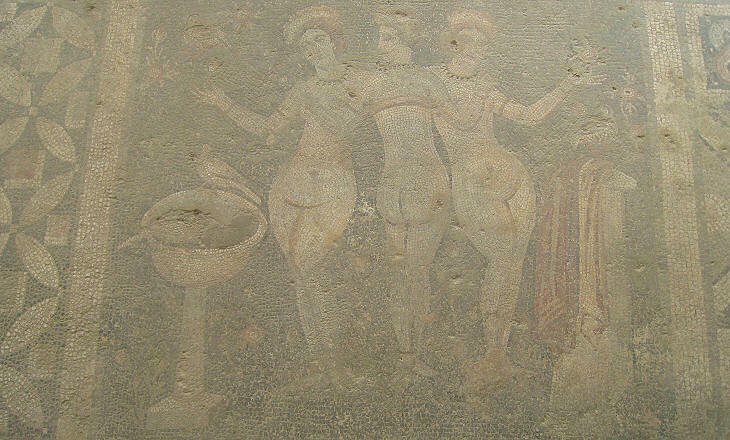 The bath was decorated with a large mosaic showing the Three Graces who were symbols of Beauty, Mirth and Good Cheer. Map of Turkey with all the locations covered in this website.